Note I add a red brick to the magnetic walls so I can find them. Great idea. I've done the bottom of my CBS walls with color coding. But this done on a standard looking wall with magnetic insert is a nice quick reference from above. I also love that tight little jail cell room. I made a deal with William so I have enough tab walls. As I wait for the next batch to arrive.I created some 3 by 3 inch floor tiles. I also realized I need some 1/2 inch wall tabs. I will finish them all at once and dry brush all the tiles at the same time. 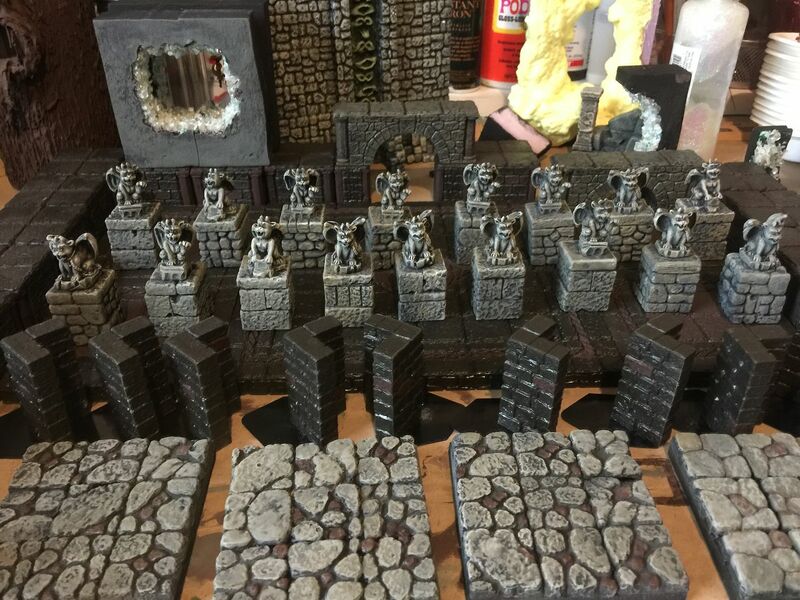 I think I am going to use the red lava wash on all of the grotesque to match the red columns. 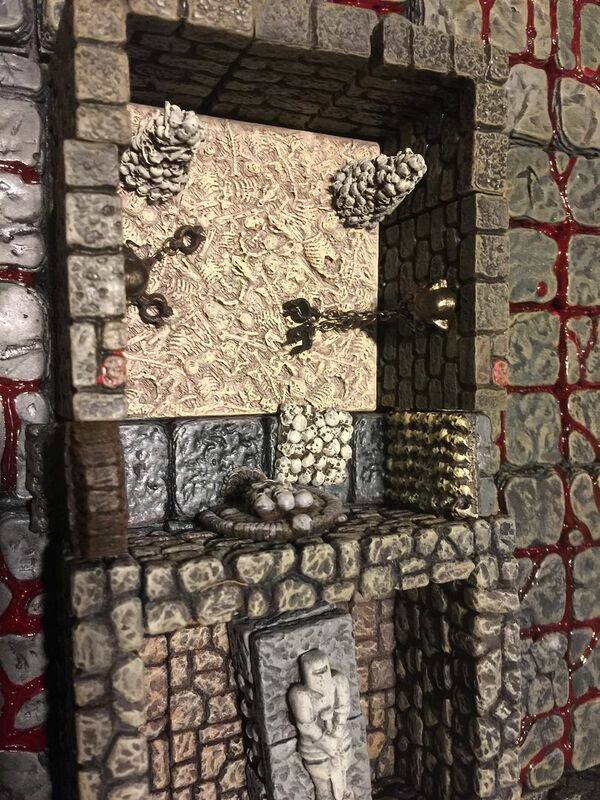 This is a 3 by 3 inch dragon lock tile. Nicely done and I KNOW I would not have the patience to make "normal" corners and walls like you are doing. Something special, like your diagonal with window, that could be something I would consider, or some special alter or feature of a location. Surely the household comptroller much be aware that DF acquisitions are more like putting money into CD's. Almost certain to hold their value and be able to unload (in theory - and that is the hard part, convincing the powers that be that you could actually sell off stuff) in the future. What did you use for the base? I have been using thin plastic card. Do you have a hot wire cutter? Love it!! Will have to try my hand at that diagonal wall window! Very nice foam work Trollface. The diagonals with the arches match pretty darn well. What happens when the wife slashes your hobby budget? 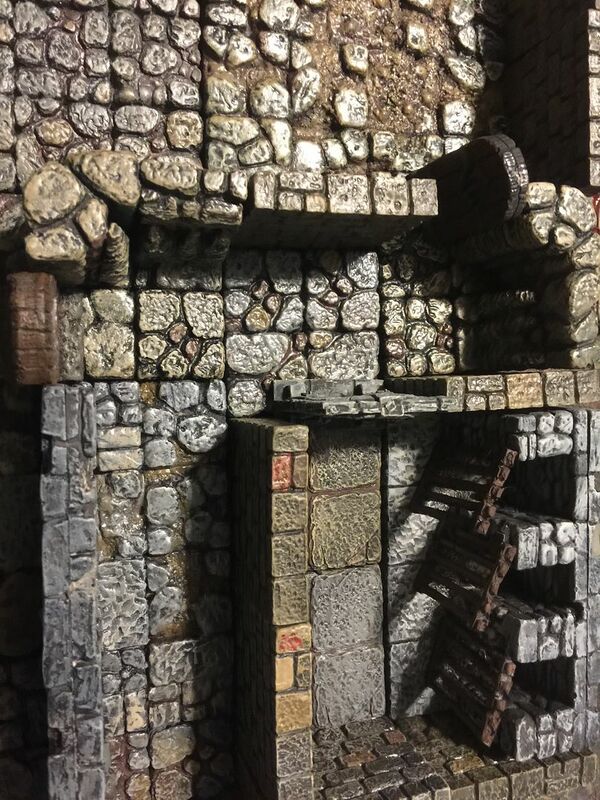 eg, if we are ever going to retire we are not going to live in your dwarven forge castle, she said. I couldn't argue my transmorgifier is not working yet. So what is a poor guy to do? I know, pink foam!